Pascha Sunday of the Resurrection of Jesus Christ our Lord is a day of joyful celebration. The celebration includes the Blessing of the Pascha Baskets which contain foods not eaten during the Great Fast. These include meats, eggs, cheese, butter, rich breads, wine, sweats and become the foods of the Easter Banquet. Each basket is covered with a cloth usually embroidered with the words “Christ is Risen”. The contents of the basket vary from family to family depending on family tradition. 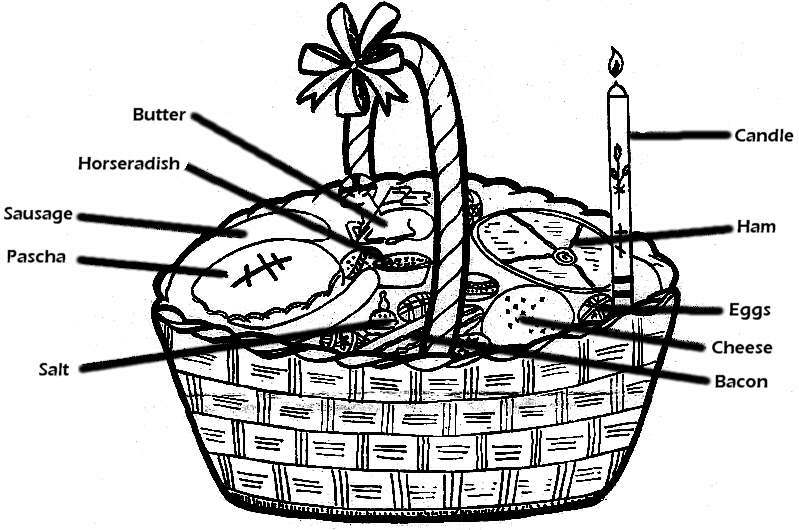 If you would like to participate and have your basket blessed at church on Pascha Sunday, the following is a suggestion for a customary basket in the Byzantine tradition or you may fill your baskets with what is important in your tradition. PASKA – The Easter Bread (pron, paska).A sweet , yeast bread rich in eggs, butter, etc. Symbolic of Christ Himself who is our True Bread. Usually a round loaf baked with a golden crust decorated with a symbol indicative of Christ. Sometimes a cross of dough is placed on top encircled by a plait giving it a crowned effect, or Greek abbreviations for the name of Christ. The letters XB indicate the Slavonic for “Christ is Risen.” CHEESE (Hrudka or Sirets, pronounced – hrood-ka or si-rets) A custard-type cheese shaped into a ball having a rather bland but sweet taste indicative of the moderation that Christians should have in all things. Also, creamed cheese is placed in a small dish and both are decorated with symbols made of cloves or pepper balls. HAM (Sunka – pronounced shoon-ka) The flesh meat popular with Slavs as the main dish because of its richness and symbolic of the great joy and abundance of Easter. Some may prefer lamb or veal. This is usually well roasted or cooked as well as other meats prepared in advance so that the festivity of the day will not be burdened with preparation and all may enjoy the Feast. BUTTER (Maslo – pronounced ma-slo) This favorite dairy product is shaped into the figure of a lamb or small cross and decorated as the cheese. This reminds us of the goodness of Christ that we should have toward all things. SAUSAGE (Kolbasi – pronounced kol-bus-i) A spicy, garlicy sausage of pork products, indicative of God’s favor and generosity BACON (Slanina – pronounced – sla-ni-na) A piece of uncooked bacon cured with spices. Symbolic of the overabundance of God’s mercy to us. 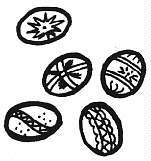 EGGS (Pisanki – pronounced – pi-sun-ki) Hard boiled eggs brightly decorated with symbols and markings made with beeswax. Indicative of new life and resurrection. SALT (Sol – pronounced sol’) A condiment necessary for flavor reminding the Christian of his duty to others. HORSERADISH (Chrin – pronounced – khrin) Horseradish mixed with grated red beets. Symbolic of the Passion of Christ still in our minds but sweetened with some sugar because of the Resurrection. A bitter -sweet red colored mixture reminds us of the sufferings of Christ. These articles are placed in a wicker basket and a ribbon or bow is tied to the handle. A decorated candle is placed in the basket and is lit at the time of blessing. 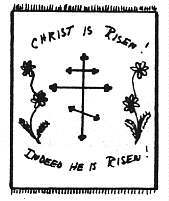 A linen cover usually embroidered with a picture of the Risen Christ or symbol with the words “Christ is Risen” is placed over the foods when brought to the church. 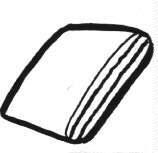 In some places a large Easter Bread (Paska) is made and brought separately in a large linen cloth. If the origin of the people was from a wine growing region, a sweet wine may be brought. May You Have a Happy and Blessed EasterChrist is Risen! Christos Voskrese!Indeed, He is Risen! Voistinu Voskrese!